During the summer of 2016 Leadsleap launched a service called Leadsleap Social Review where members can post reviews of affiliate programs. Leadsleap Social Reviews added even more value to the program as I hope to show you in this review. Keep in mind that I am an affiliate and links to Leadleap will be my affiliate links. What is Leadsleap Social Review? Leadsleap social reviews offer opportunities for members to attract more traffic and referrals. LeadsLeap Social Review allows members to post reviews of affiliate programs that they have joined. Reviewers can enter their affiliate links for the program they are reviewing and their links will be rotated. When visitors to the review site click the program name, they will actually be clicking one of the reviewers’ affiliate links and landing on their affiliate page. So when you post a review a review, you are giving yourself an opportunity to get free referrals from LeadsLeap. You can also add five of your favourite affiliate programs, and your links will be included with your review whenever it is shown. So the more reviews you write, the more often your top five programs will be shown. If you upgrade, Leadsleap will show your reviews FIVE TIMES more often than free members’ reviews. Also, upgraded member reviews are posted immediately (and checked by LeadsLeap retroactively) whereas free members’ reviews are held back until AFTER they have been checked. In short, LeadsLeap’s Social Review adds even more value for upgraded members who write reviews. Also, when you write a program review, your review will be added to a search-engine-friendly review page dedicated exclusively to that program. 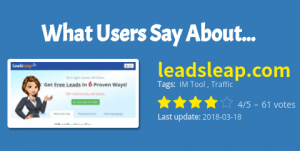 The idea is that when somebody searches Google or Bing, or any other search engine, for XYZ program review, LeadsLeap’s review page will feature at or near the top of the rankings, bringing free traffic to LeadsLeap members’ reviews. How Will Leadsleap Ensure Quality Control? Okay, so far so good, but how will LeadsLeap ensure the service delivers good quality reviews? First, as I mentioned, they will review the reviews and presumably reject any they do not approve of. Second, every review has a “Report” button which visitors can click to open a report form where they are invited to “explain what’s wrong with this review”. 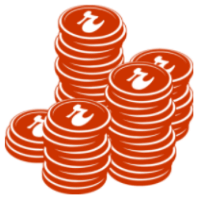 …the system offers no incentive for members who write useless reviews. 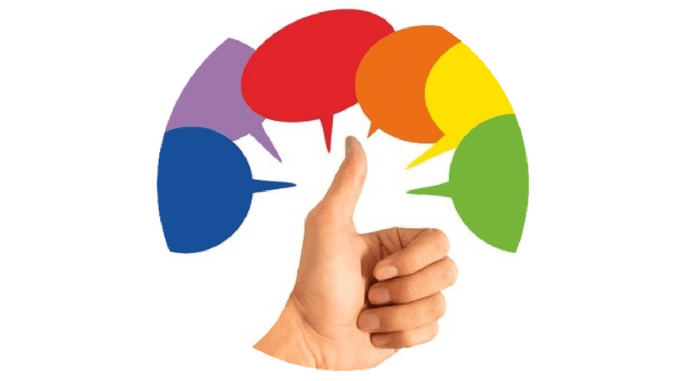 A good review will build trust, resulting in visitors exploring their recommendations. A poor review will simply chase the visitors away to read another review. Leadsleap expects people to write good quality reviews so they can attract the visitors who land on the review site. 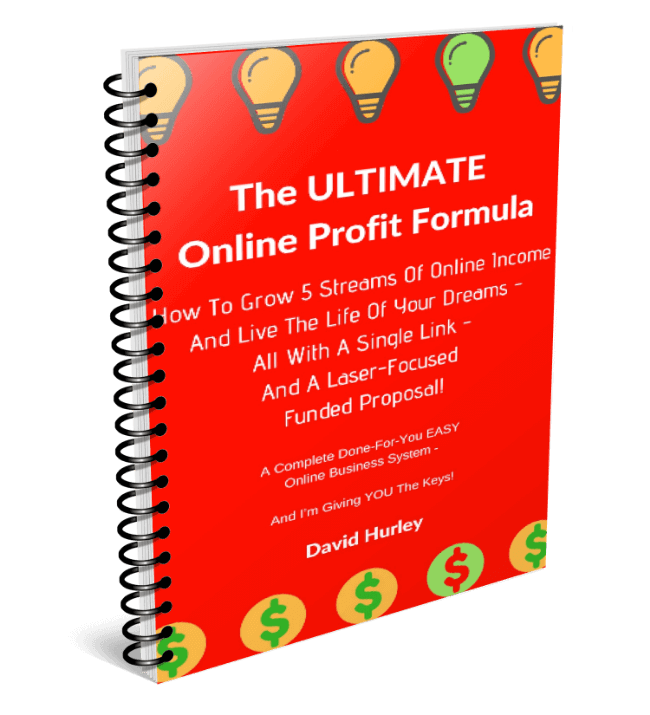 … the system will rotate your links and get you sign ups automatically, whether you like or hate the program! You can post reviews about as many programs as you like. Later, you can go back to edit and update your reviews any time. Make sure you use the original affiliate link. Leadsleap disallows cloaked links to prevent links being redirected to other sites. Program owners can post reviews of their own programs, but cannot rate their own program or add affiliate links. 1) Sign up to LeadsLeap – it’s free to join and you can upgrade any time. 2) Go to Add Reviews and add all the affiliate links of the programs you’ve tried, including your LeadsLeap affiliate link, and share your experience about the programs. 3) Go to My Top Recommendations and set up your top 5 recommendations. 4) Check Leadsleap Social Review regularly to see what people review and find out what are the popular programs. P.S. If you’re like me and scroll down to the P.S., this article is a review of LeadsLeap Social Review. It shows you how you can get traffic and referrals when you write social reviews on Leadsleap’s Social Review site. Get Started Free Today! I have also been a member of Leads Leap for quite a few Years. Thank you! Leadsleap is one of the best traffic generation programs out there. The tracker is excellent too. I find I have been using it more and more.